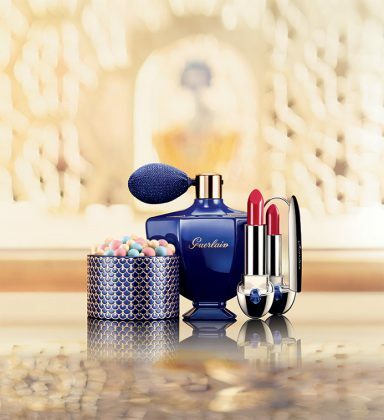 The divine muse of Guerlain, Natalia Vodianova, has developed with Olivier Echaudemaison, the artistic director of the house, a make-up line under the sign of India : Shalimar of course! It includes Meteorites whith beads of three colors, a fragrant Shalimar body and hair powder, an eye shadow with gold and sapphire hues …. A good way (to) have fun by making a good action. : a portion of sales will be donated to the Naked Heart foundation created by Natalia.